Margaret Hanson Design Co. » Event branding and illustration with LifeCycles; Street Feast. 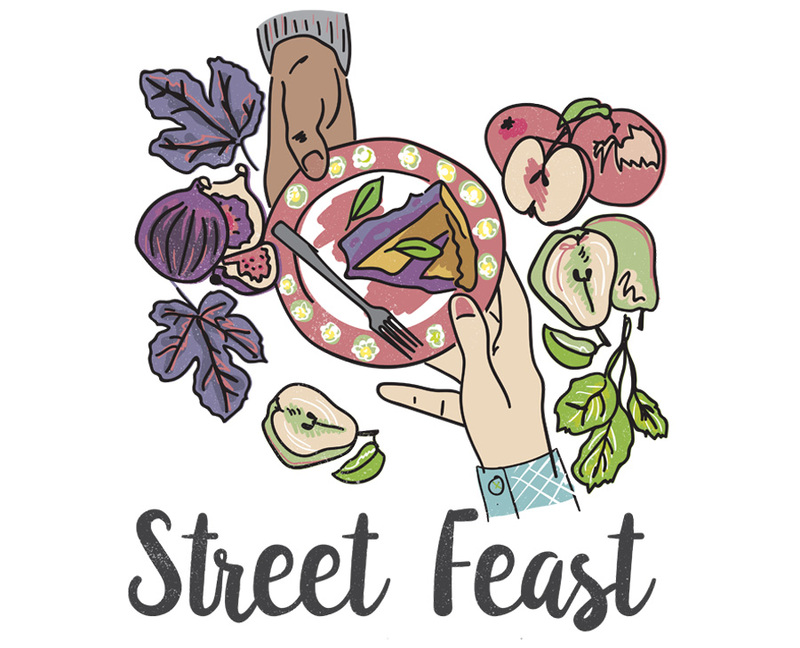 LifeCycles Project is organizing a great community feast downtown this summer and asked me to design the graphic look and feel of the event. I was glad to take it on. The illustration shows people sharing plates, while surrounded by locally picked fruits. Check out LifeCycles here.